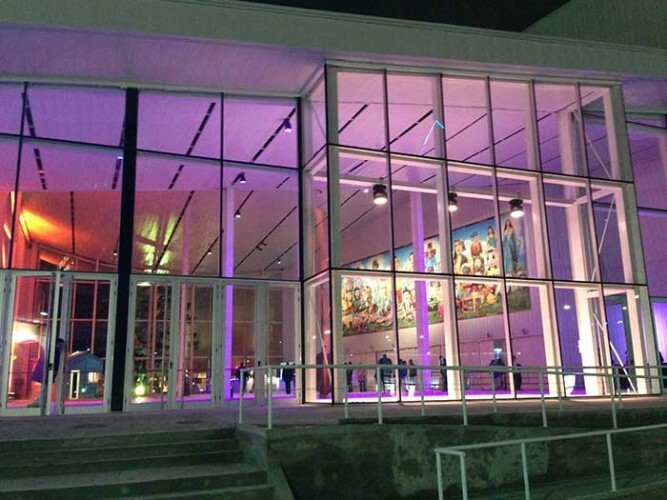 A Robe environmental lighting solution was chosen by the Argentinian government to permanently illuminate the venue hosting Tecnópolis, a science, technology, industry and art exhibition at the Parque del Bicentenario (Bicentenary Park), in Buenos Aires, Argentina. The annual Tecnópolis exhibition runs for three months and is focussed on new technologies, techniques and advances to stimulate creativity. Buenos Aires based lighting design and service company Pampin Luces designed the ornamental, environmental (encompassing the different spaces and rooms) and landscape lighting scheme, which is based on a different concept each year. Lighting equipment includes 36 Robe LEDWash 1200s, 30 LEDWash 600s, 20 Actor 6s and eight MMX Spots all from Robe’s ROBIN series, plus 120 x LEDForce PAR 18s, four CitySkape Xtremes and 40 CityFlex 48s, complete with four Robe Haze machines. The lighting project encompasses the common and public spaces, squares and walking halls, and Pampin Luces has also permanently lit the foyer, façade and main hall of the exhibition venue – which is around 500 meters wide and 18 metres in height. For the façade, halls and an area called Araucaria they used 80 of the LEDForce PAR 18s, 14 Actor 6s, 28 LEDWash 600s and six CitySkape Xtremes. 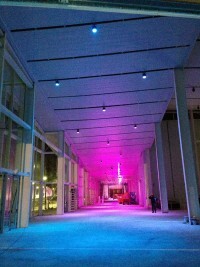 Lighting in the enormous venue’s foyer has LEDForce PAR 18 units at its core which are used as up-lights. The LEDWash 600s are utilised to light the doors – housed in a series of glass boxes – and the remaining Actor 6s are located in the main hall and used for additional dynamics around the space. Some equipment is set up in the 5,000 capacity Micro stadium, including 24 LEDWash 1200s, the eight MMX Spots and several CityFlex 48s, together with the Robe Haze machines and other conventional and moving lights. In other areas of the park, 40 CityFlex 48s are used for colour and effects. This very flexible LED device can be used outdoors and is easily adaptable in format so it can fit the designer’s exact requirements. Pampin Luces’ lighting designer and CEO, Edi Pampin, comments on the LEDWash: “I think they are amazing fixtures.” This is also the first formal incorporation of LED technology to Pampin Luces’ work, and he adds that, up to this point, he has not been impressed by any other LED units available. 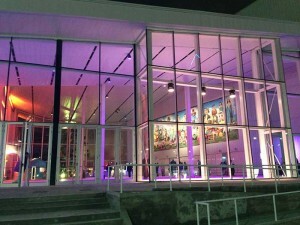 “All around the venue, Robe luminaires highlight and emphasise the architecture, and are used to produce a wide range of effects plenty of dynamics, especially to the façade which can be seen from afar,” he explains, adding that, “the great colour control” enables the venue to be 'dressed' correctly for each occasion, as Tecnópolis is only one of several exhibitions staged there. For Tecnópolis a data network communicating with the various technologies across all sectors of the exposition is fed back to a central control point from where all of the park’s lighting is operated. Programming was undertaken by Pedro Pampin using a grandMA2 console and fader wing running onPC software and day-to-day operation is overseen by a series of company technicians working at the venue. Tecnópolis was launched in 2011 by the Argentine government and features an annual resident exhibition. This year’s show, “Defying Knowledge”, comprises different areas covering topics of local interest, e.g. the story of Argentinian rock, the favourite Argentinian sports, a space dedicated to dinosaurs that lived on these lands, an aquarium highlighting the local sea’s biodiversity, music created using recycled objects, a sample showing the evolution of the human race, a science fair and a video games zone created by Argentinians.